So knock on wood but I haven’t caught the “thing” going around the office lately. I, like most people I assume, hate getting sick. I have a really hard time functioning when I am not feeling 100%, so when I am sick… watch out! (what can I say? I wear my heart on my sleeve). Avoiding illness means more running, yoga, spending time with loved ones, and enjoying life! 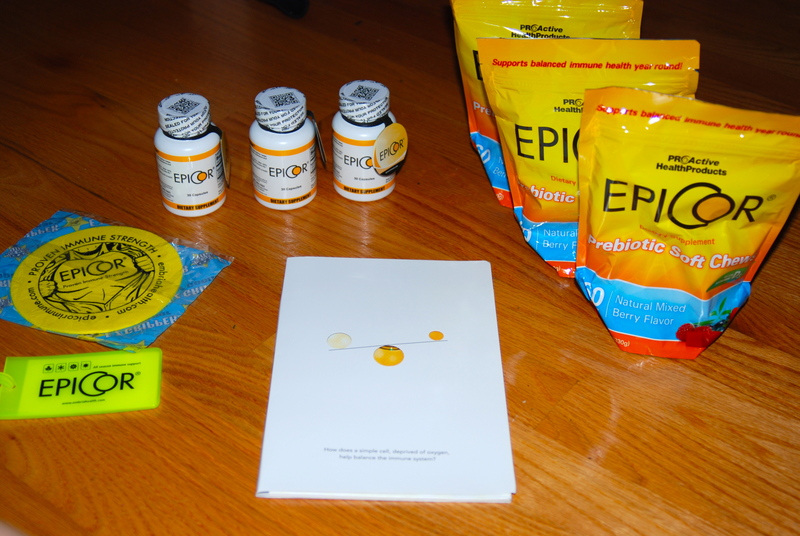 About a month ago, I was asked to be a part of EpiCor’s Live More Healthy Days campaign. Then, this came in the mail! Since a box is this exciting to me, imagine my joy in actually opening it up! 1) They taste great! So, it is not a chore taking them. I have actually found myself chewing one after lunch when I have a bit of a sweet tooth. 2) They are small, individually wrapped, and easy to throw in your bag (or in my case, the pocket of my scrub work top). This convenience part is key for me. I have found that no matter how healthy and beneficial something may be, if it isn’t convenient, I am going to have a hard time making it a habit. 3) One chew contains 100% of your daily vitamin D3 and 250 mg of Saccharomyces Cerevisiae. Vitamin D3 aids in the absorption of calcium (absorption means stronger/more healthy bones) and recently, research also suggests that it may provide protection from osteoporosis, hypertension, cancer, and several autoimmune diseases. Saccharomyces Cerevisiae is a form of yeast that enhances the cellular innate immune response. 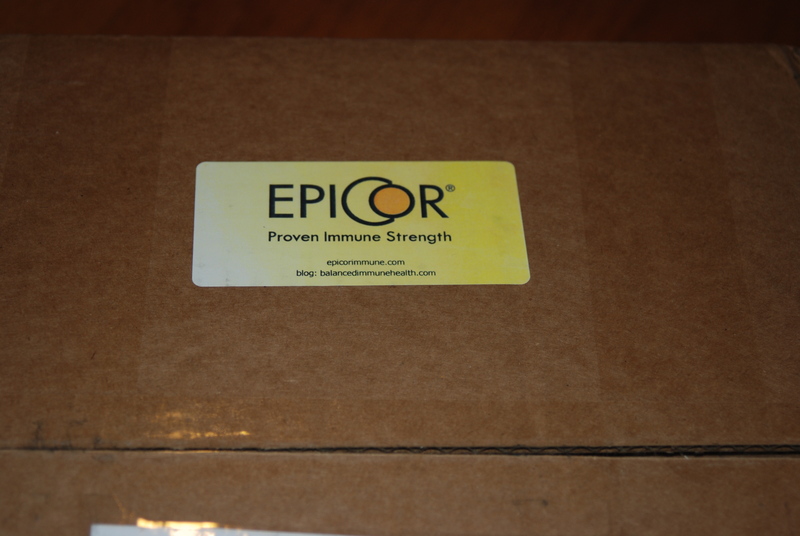 All six published human studies on EpiCor used a daily dosage of 500 mg for adults so that means I only need to eat 2 chews (easy enough!). Check out this page for more information about how EpiCor works! 4) I have avoided the sniffles/colds/sore throats/etc that my coworkers have come to work with. This is really great considering I share phones & computers with several people in our tight workspace and am exposed to 35+ patients per day. Not to mention riding public transportation!! So, I will say it again, KNOCK on WOOD but I am healthy, running, and thriving. 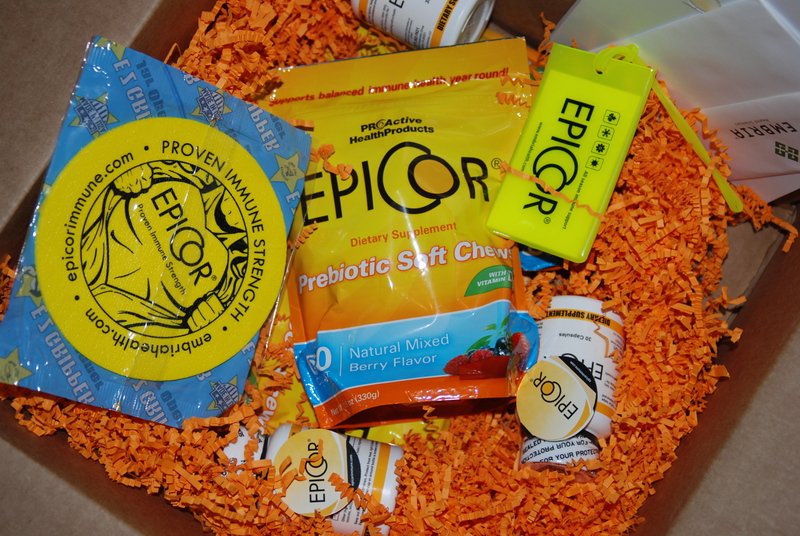 I plan to try the EpiCor capsules next, but I am so satisfied with the Prebiotic soft chews, it may be hard to make the switch! How do you live more healthy days? What are some of your immune boosting habits or secrets? I am not a registered dietician or doctor. Always consult your health care provider prior to beginning any supplement program. I wrote this blog post as a part of EpiCor’s Live More Healthy Days Campaign, but the views and opinions expressed are my own. I am a firm believer of sleep to help fight off colds, etc. When I start to slack on sleep I am almost guaranteed to catch something! At the first sign of feeling less than 100% I up the sleep, vitamin C and green tea. It might all be mental, but it helps! Oh yes, sleep is so important! And I say, if you believe it works and it does…well then keep on believing and it will keep on working! I’m so glad you liked the soft chews! Maybe I should try EpiCore! I spent a week getting basically no sleep, in and out of airports, and I am paying for it this week with a nasty cold. Whenever I am out of my routine and stressed/running around, it takes a major toll on my body. Amen to that! 😉 So both things are extra credit in my booK!